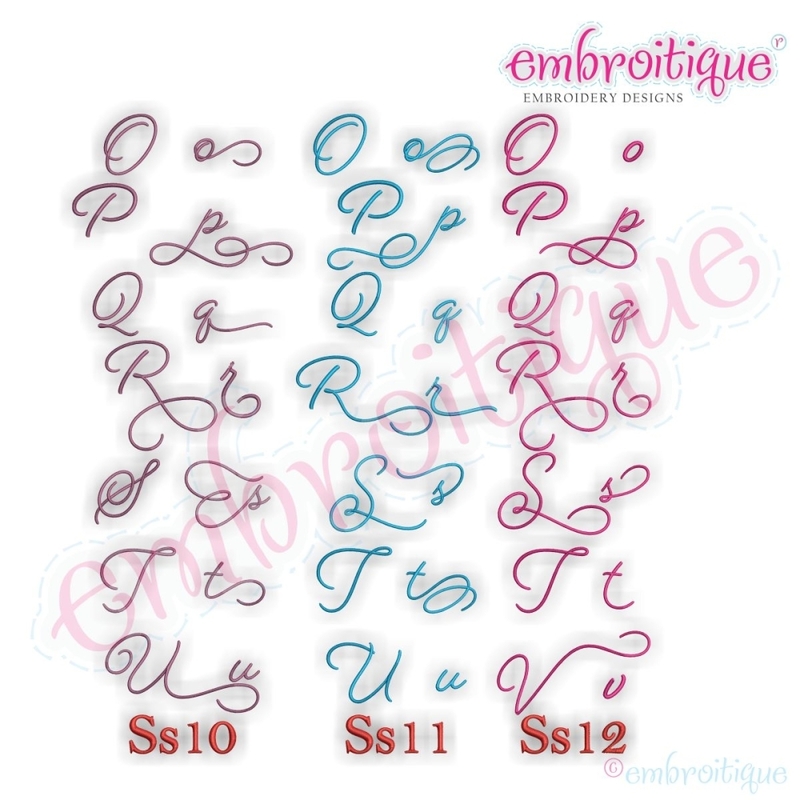 Beloved Font, Alternate 4, 3 Styles - 1" 2" 3"
What is there not to love about this stunning set? This set is equivalent to three separate monogram sets. 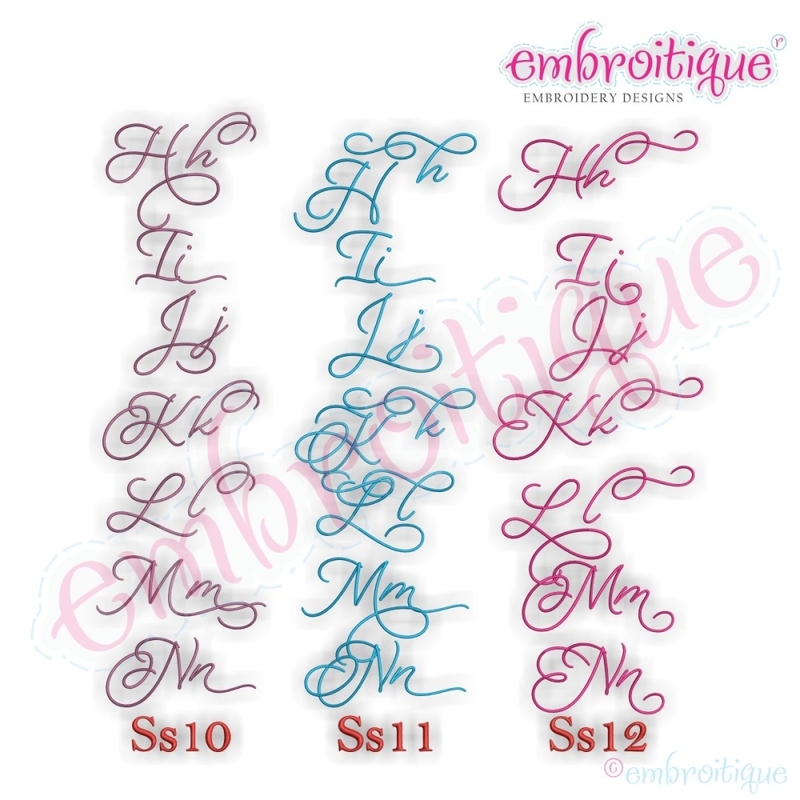 Use this in combination with our beloved Basic set (sold separately below) to create breathtaking words and monograms. Reference the listing pictures to see the different styles. Be sure to collect all the sets - this will be a favorite for years to come! Any questions - just ask. Letter dimensions below are based off the height of the cap A in each size. 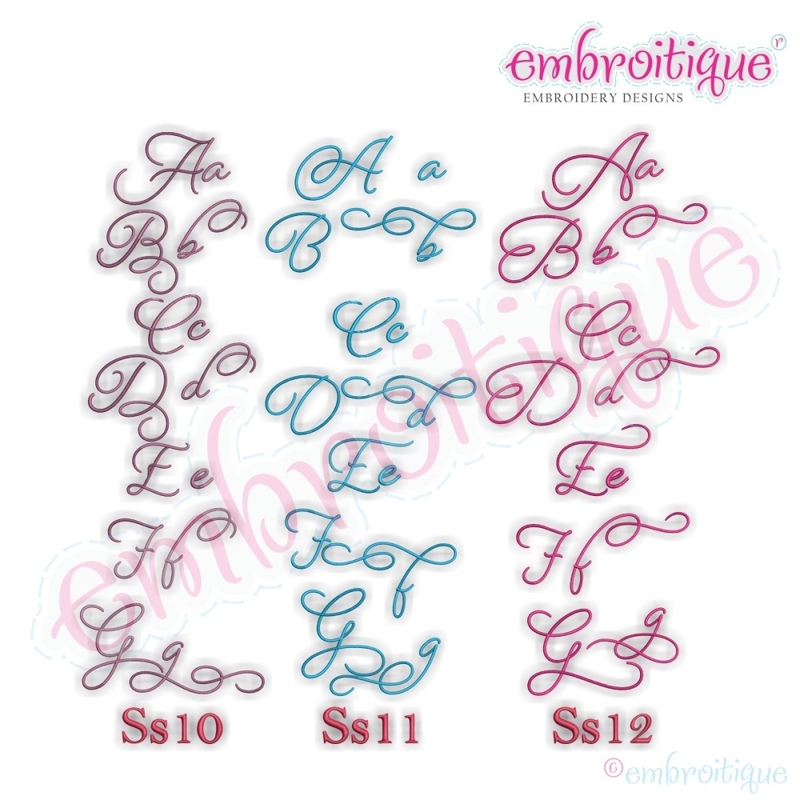 Letter widths will vary due to individual style and may require a larger hoop. 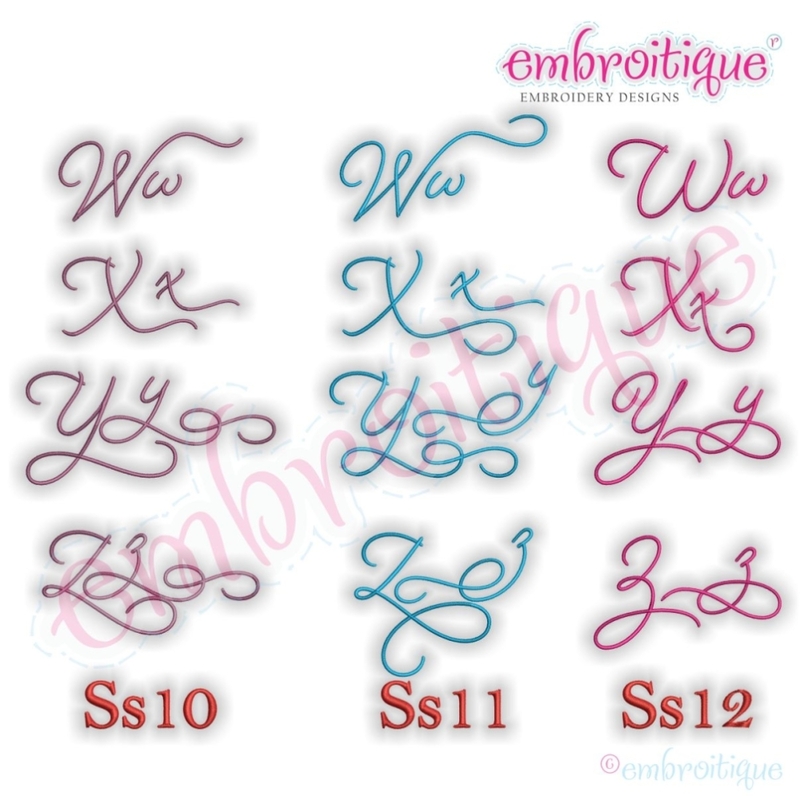 Beloved Font, Alternate 3, 3 Styles - 1" 2" 3"
Beloved Font, Alternate 5 - 1" 2" 3"
Finish Size: Style 10 1.78" x 1.3"
Finish Size: Style 10 3.54" x 2.58"
Finish Size: Style 11 1.64" x 1.09"
Finish Size: Style 11 3.27" x 2.16"
Finish Size: Style 12 1.78" x 1.3"
Finish Size: Style 12 3.54" x 2.58"
Finish Size: Style 10 5.31" x 3.87"
Finish Size: Style 11 4.89" x 3.23"
Finish Size: Style 12 5.31" x 3.87"